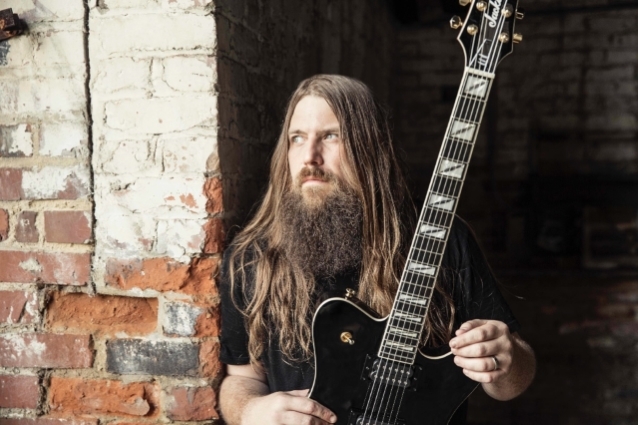 LAMB OF GOD guitarist Mark Morton recently spoke with Australia's Heavy magazine about his debut solo album, "Anesthetic". The full conversation can be streamed below. A few excerpts follow (as transcribed by BLABBERMOUTH.NET). Mark: "'Cross Off' is a really special song, and it kind of felt that way from the beginning. Working with Chester was fantastic. It was really amazing. Chester was very enthusiastic; he was very motivated; he was excited about the song. He loved that song, and that's really why he was there. I didn't know Chester personally until we started talking about working on music, and until we worked on, wrote and recorded that song. To get the chance to work with him like that and to create music with him was really exciting. He was very prepared and very excited about that song in particular. He was excited for his fans to hear to scream again, because it had been some time since he had recorded a vocal like that. It was just a real joy. It was a real positive experience. We had fun in the studio. We talked a lot about the lyrics we were writing together and what they meant, where they were coming from. It was a just real thrill to be in the room with him while he recorded that amazing performance and be able to work with him at that level, in that proximity. When I hear it, I think of that time — the time we had making the song and the energy that was going on in the room during the process of putting that song together. It was really positive and really exciting." Mark: "I think the material dictated the artists that we would approach. I say 'we' [because] I worked pretty closely, creatively, with [producer] Josh Wilbur on this project. We would write the songs and demo the songs and then sit back and listen to the form they were in instrumentally, sometimes with a demo vocal on it, and try and imagine or have a conversation about who we would hear singing each particular song. That's really where the guest list, certainly vocally, comes from — our interpretation of who we thought might be best for each song." Mark: "I wasn't setting out to write a solo album. When I write music, I just kind of write what's knocking around in my ear. 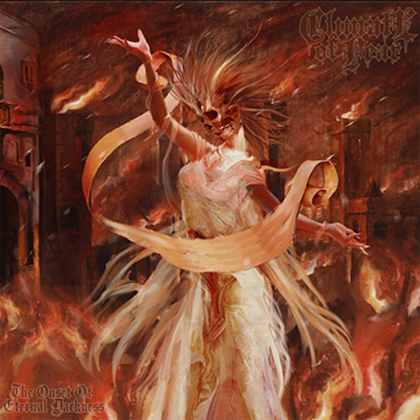 Sometimes, that winds up being heavy metal music, and sometimes, it winds up being heavy metal music that's good enough to to be contributed [to] and used in LAMB OF GOD. Sometimes, it's rock music; sometimes, it's mood music; sometimes, it's something that can't be categorized. But I still work on that nonetheless. 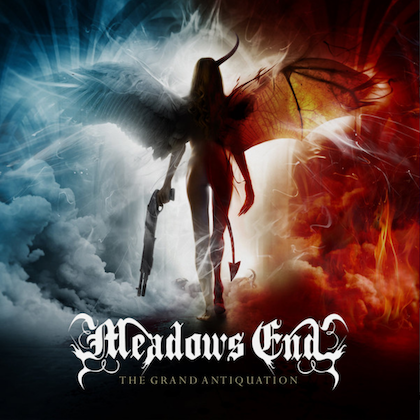 What happened was I just started getting a collection of songs that clearly weren't going to fit into the framework of LAMB OF GOD, but that I still wanted to develop and still wanted to work with... From the songwriting point of view, it was just me writing songs like I always do, but once I had a collection of songs that was sort of outside the 'metal' framework, we got the concept and gave those songs a destination." Mark: "We started doing demos for it around late 2016. It took a while to get done, mainly because of my commitment to LAMB OF GOD, and Josh Wilbur as a producer is very much in-demand. We kind of worked whenever our schedules lined up, when we had a break. Then, of course, the added element of having all these different players and performers on the album. They all had their own commitments to their main bands too, so you can imagine it was quite a juggling act to try and get done, which is why the process was so long." Mark: "Working with Randy was a no-brainer. Randy's one of my best friends in the whole world, and one of my best friends in the whole world that happens to be the best metal screamer in the whole world. It was a pretty easy call to make. I had a metal song and I needed a screamer on it, so I can't imagine who else I would send that text to. [Laughs]"
Mark: "It was important to me conceptually to have some women on this album. I didn't want it to be just a bunch of smelly dudes... I think it makes it more dynamic, and just kind of cooler." "Anesthetic" will be released on March 1 via Spinefarm. 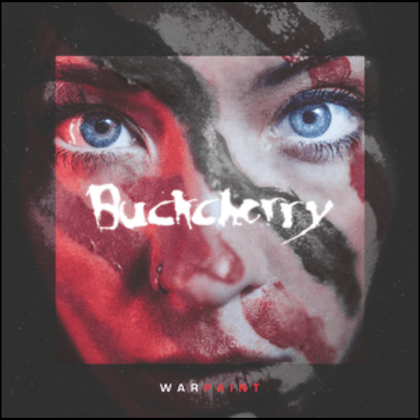 In addition to Bennington, Blythe and White-Gluz, the album features guest vocals by Jacoby Shaddix (PAPA ROACH), Myles Kennedy (SLASH, ALTER BRIDGE), Mark Lanegan, Chuck Billy (TESTAMENT), Jake Oni, Josh Todd (BUCKCHERRY), Mark Morales (SONS OF TEXAS) and Naeemah Maddox. Musically, Morton performs all guitars, with Roy Mayorga (STONE SOUR), David Ellefson (MEGADETH), Ray Luzier (KORN), Paolo Gregoletto (TRIVIUM), Alex Bent (TRIVIUM), Mike Inez (ALICE IN CHAINS), Jean-Paul Gaster (CLUTCH), Steve Gorman and Marc Paul rounding out the band. For his upcoming tour in suppport of "Anesthetic", Morton recruited Morales, guitarist Doc Coyle (BAD WOLVES, ex-GOD FORBID), bassist Nick Villarreal (SONS OF TEXAS) and drummer Art Cruz (PRONG, WINDS OF PLAGUE, LAMB OF GOD). The 10-date trek, which kicks off March 13 in Richmond, Virginia, will be co-headlined by LIGHT THE TORCH and also feature openers MOON TOOTH. 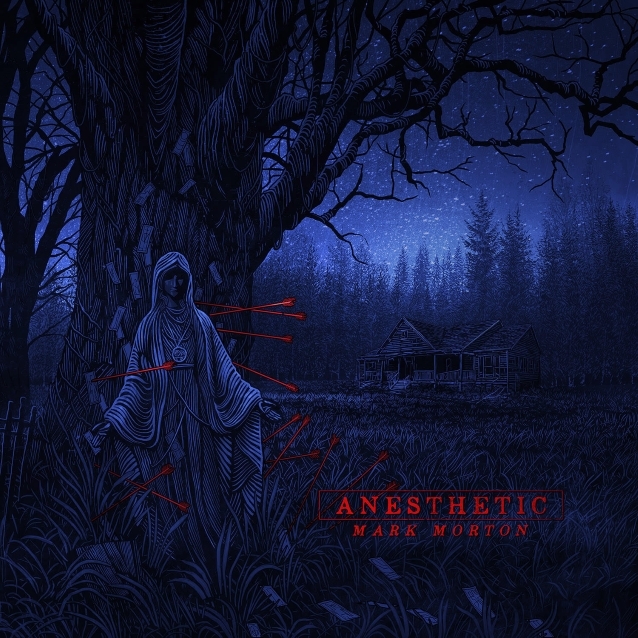 Listen to "MARK MORTON Delivers His ANESTHETIC Without Losing Feeling Or Emotion" on Spreaker.